Thanks guys, but i think a couple of centres need attending to...Noles if you would please. Last edited by cairnswk on Thu Feb 21, 2013 11:39 am, edited 1 time in total. Which ones, specifically? They look fine to me. Gilligan wrote: Which ones, specifically? They look fine to me. Large: much the same with the large but some are all over the place. cairns, the army circles aren't in the version posted above (Version 31). nolefan5311 wrote: cairns, the army circles aren't in the version posted above (Version 31). How does this look? I can't screengrab my results on this comp, otherwise I would post them. Thanks Noles, but i made some more adjustments...much more accpetable now. I do NOT visit this site and I'm NOT Team CC anymore. If you need to contact me, you should already have a way to do it without using this site. Thanks to those who helped me through the years. thenobodies80 wrote: So ready to go? As far as i can tell - yes! 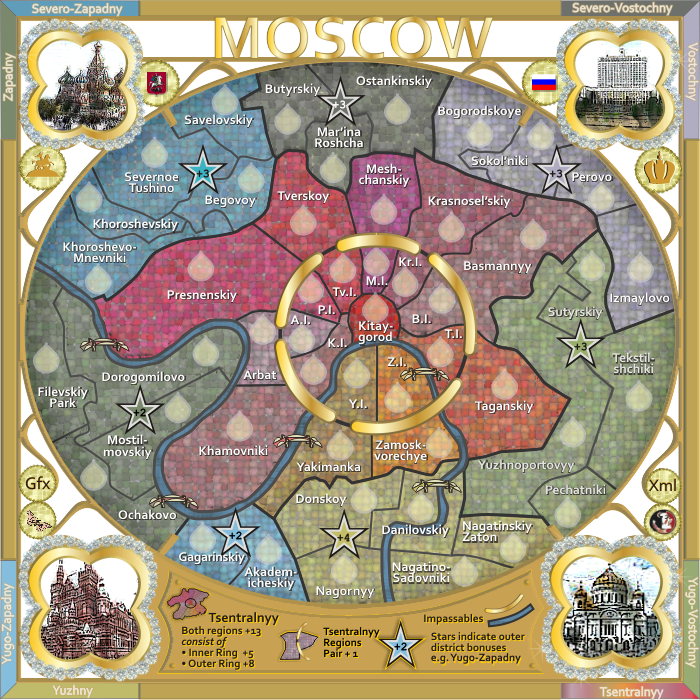 ---The development period has concluded for the Classic Cities: Moscow Map. All objections have had their time. The Foundry and I hereby brand this map with the Foundry Beta Brand. Let it be known that this map is now ready for BETA Play. After an extended period of time in BETA and once all quirks and issues have been resolved, the map will be put into Full Play (barring any Admins or Foundry Foreman vetoes). 2. 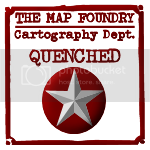 It is the responsibility of the mapmaker(s) to ensure that they respond to further feedback in a timely and constructive manner. 3. 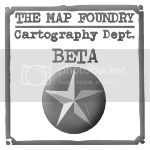 Write a "creative" map description and send it to the Foundry Foreman via PM. You're encouraged to post it into the first post of the thread as well; the description will be used to populate the maps database. Just raising a possible discussion point here, but please don't massacre me if it's been oft-repeated or an irrelevancy. Yugo-Zapadney could potentially be worth too much as a bonus? 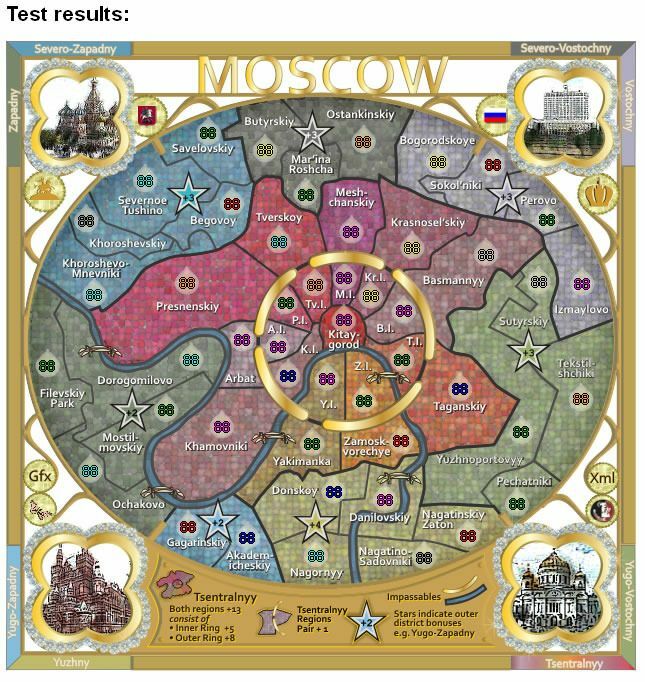 It's only 2 territories, the same as the suburb pairs, but whereas the likes of Basmaniyy can be broken from 10 places (3 inner, 7 outside the ring), YZ can only be broken by 4 places; I don't think an extra neutral really negates that benefit? + with the variable neutrals, I'm in a game where only 2 terr. touch it currently, and I don't possess 1 of them (alongside the opponent having Gagarinsky), so I'm in a struggle from the drop? Leehar wrote: Just raising a possible discussion point here, but please don't massacre me if it's been oft-repeated or an irrelevancy. 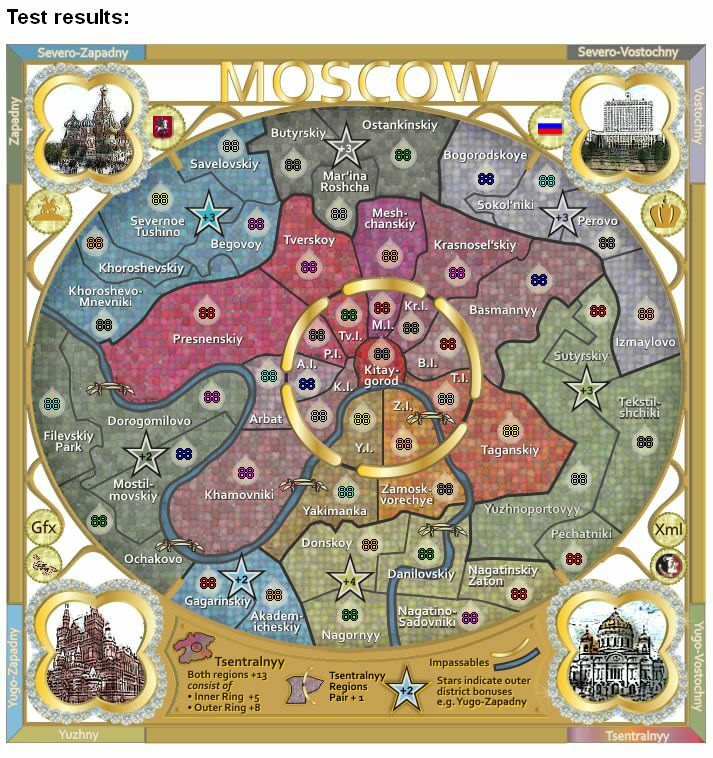 While there are only 388 games on this completed, and i recognise this is a very small number, there has been no feedback on this particular issue from others sinbe Feb. I am therefore reluctant to change it unless someone else raises the issue and it is propogated accordingly by numbers. If anyone has any other comments on tweaking the gameplay/graphics, now is the time to speak up! If there are no other concerns within the next few days, this map will be quenched! ---The Beta period has concluded for the Classic Cities: Moscow Map. All objections have had their time. The Foundry and I hereby brand this map with the Foundry Brand. Let it be known that this map is now ready to be released into live play.